Check out the latest addition to 21Bikes.com! 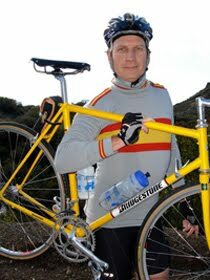 That's yours truly with my 1984 Holdsworth, as featured many times on this blog in various Rough Riding reports. The concept of the site is simple. You upload a photo of you and your bicycle. If they like it, they will post it to the site within one of their 21 bike-specific categories. Then, once the picture goes live, it gets voted on and shared by our users. 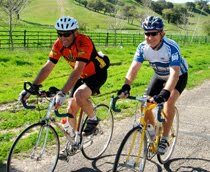 You can submit a photo no matter what type of bike you ride, how old you are, where you live in the world, or what you look like. 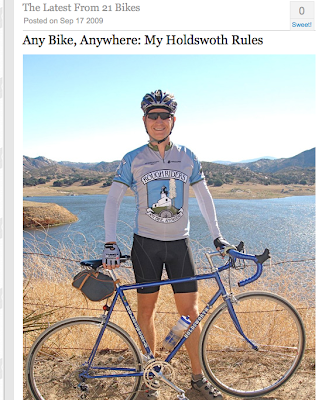 The only requirement is that the photo you submit include both YOU and YOUR BICYCLE. That means no pictures of random people cycling past you. The photo you submit has to be of you and your trusty steed. The better the picture, the better your chances of it being posted to the site. 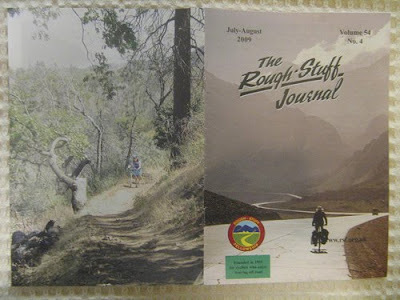 Check it out (click the "Thanks" with a number link in the top right if you like it )- and post your Rough Riding bikes (with you!). 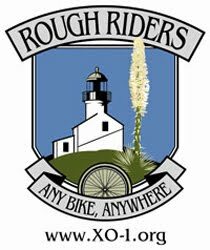 Maybe they will add a 22nd category for Rough Riding bikes! We have a bunch of exciting news to report, so this is more of a newsletter than a single feature story. • BikeRadar's "First Ride: Rivendell Bombadil"
"Riding a bicycle loaded "Grapes of Wrath" style up and around the foothills of Mt Diablo in Walnut Creek, California has always been a pleasure, and the new Rivendell Bombadil, a double top-tubed steel 650B mountain bike model, is more than ideal for this and other two-wheeled exploits." 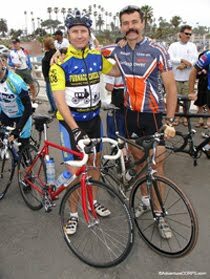 • BikeRadar's "Grant Petersen Interview"
"There's no stopping the technological advancement of the bicycle. 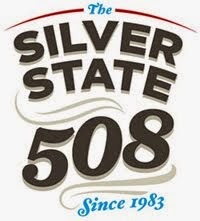 Yet no one seems to have reminded Rivendell Bicycle Works founder and president Grant Petersen of this fact, and apparently that suits him just fine. Petersen clings to his beliefs like a mother to her infant child. Petersen believes strongly in what the cycling days of old conjure up, not only in the mind, but in the simplicity and beauty of a curved, cast lug. His passion goes beyond the aesthetic, though. At Rivendell, there's a focus on practicality beyond anything in our ragtag industry, and this has been enough to keep the company afloat since 1994, the year Petersen started it in the back office of his home in Walnut Creek, California." • My Interview with Grant Petersen, back in August, 1992. 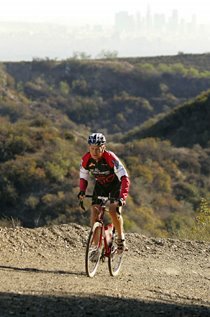 Next year we really hope to participate in the Deerfield Dirt Road Randonnée. Meanwhile, we'll enjoy the photos, including this shot of one of our Rough Riders jerseys in action. More about R2D2. ROUGH RIDING THE SANTA MONICA MOUNTAINS The Southern California Rivendell Appreciation Society enjoyed an outing on some of our favorite dirt roads over Labor Day Weekend. You can see photos here. Here is their Flickr Group home page. Thanks for your support and enthusiasm, everyone! 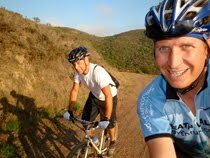 On August 10, 2009, after spending several days in Marin County to prepare for the July 23-25, 2010 Rough Riders Rally, I joined the legendary Grant Petersen of Rivendell Bicycles for a ride on and around Mt. Diablo in Walnut Creek, CA. I rode one of Rivendell's newest models, the Bombadil. Grant rode one, too, though his was a prototype. 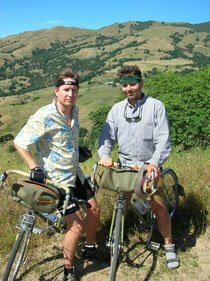 Of course, we went "Rivendell style" with "street clothes" and Keen sandal shoes: no bike clothes, no bike shoes, not even attached to the pedals. It all worked perfectly and comfortably! Really, it was just a wonderful ride in a spectacular setting. I'd argue that part of Rivendell's success can be attributed to their location next to this fantastic mountain and its hundreds of miles of trails, fire roads, and even paved roads. 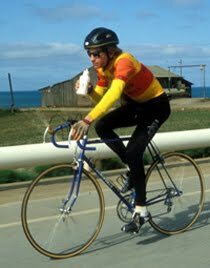 I've known Grant since I interviewed him for an article for California Bicyclist in 1992 and have respected and admired him ever since. 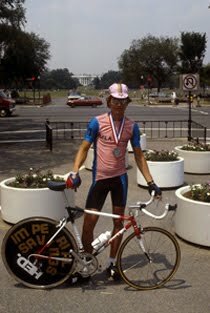 It was an honor and a pleasure that Grant - as head of marketing, bike design, etc at Bridgestone Cycle USA - sponsored me in 1992-1994. 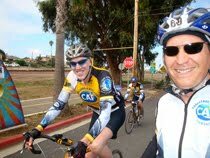 There were just four of us on Team Bridgestone. 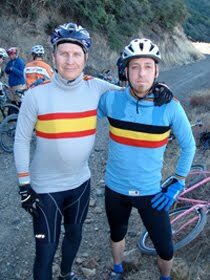 When Grant started Rivendell Bicycles in 1994, the least I could do was to sign on as one of his first members and customers. It's been fun and enlightening to keep track of Grant and his cohorts' efforts there in Walnut Creek for the past 15 years. Everything they do comes from the heart, and from their experience out there in the real world of multi-surface cycling. 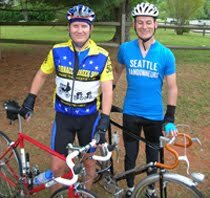 In our Flickr gallery are some photos of various bikes at Rivendell, followed by shots from our ride together on and around Mt. Diablo (this page just has a few of the highlights). Grant insisted on shooting several shots of me at one of his favorite photogenic spots along the trail. 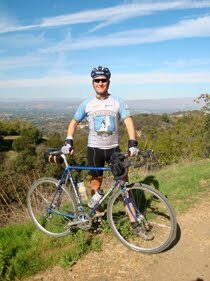 He then honored me by adding one of the shots of me to the rotation of images which display on the http://www.rivbike.com website, so you can see that here as the final image of this collection (or on the Rivendell website). About the bike I rode, I have to say it was one of the very most amazing rides of my life. I'm still stunned at how beautifully it handled everything we threw at it, especially the winding and often steep single-track. 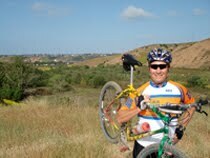 I have ridden drop bars off-road plenty, but generally on road bikes in a traditional roadie position. This was my first time with the drop bars high and close (short stem, that is) and it handled perfectly while feeling extremely comfortable. My hands naturally gripped the brake hoods and the balance was absolutely superb. I had absolute control, but hardly needed any; the bike just knew what to do; very little input from me was needed. Practically auto-pilot, you might say! 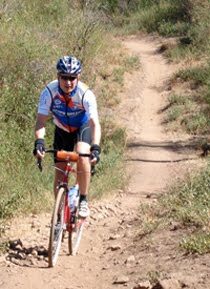 if I were in the market for a "mountain bike," this is the ONLY bike I would even consider; it's that good and that much of a winner. It has no competitors as far as I know. Kudos to Grant and his colleagues for this amazing design. More on the bike below. 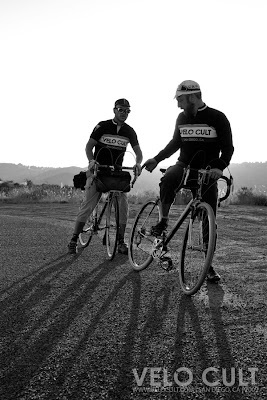 Meanwhile, be sure to peruse the rest of this blog here at http://www.XO-1.org for more about this type of cycling! 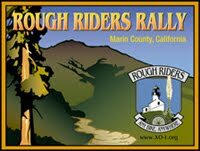 Also be sure to join us for the Rough Riders Rally in Marin County in 2010! 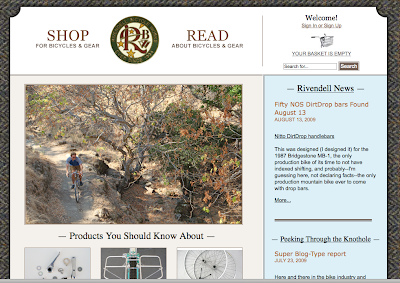 According to the Rivendell website, "The BOMBADIL is a stout-tubed mountain bike for rough riding and heavy loads. It's not Dutch-heavy, but by contemporary standards of expensive, fine bicycles, it's out there on the edge. The tubes are about extra strong, reinforced, and there's a second top tube to create a small strong triangle even on bigger frames. It's a MOUNTAIN bike, and not a frilly-techy one for gram counters who race in their minds but not in the world. It's not for racing, period. 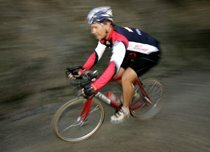 It is a modern mountain bike in the spirit of a 1983 model. Maybe '84."